Even though most people who experience the cannabis high produced by THC find it to be pleasant and stimulating, for some reason medicine that makes you feel good while getting you well is frowned upon. Enter cannabidiol, commonly referred to as CBD, as a way to obtain the medicinal benefits of cannabis without the THC psychoactive effects making CBD an acceptable gateway drug to the world of cannabis. CBD is a powerful cannabinoid with research showing it to be effective in reducing cancer cell growth, minimizing seizures and convulsions in children, decreasing inflammation, mitigating pain and providing therapeutic relief for many other ailments. This newfound interest in CBD has led to an explosion of CBD oils made from industrial hemp. In terms of its molecular structure CBD is CBD is CBD—it’s the same molecule whether the CBD comes from hemp, cannabis or a test tube. Hemp generally has a CBD concentration around 3.5 percent CBD which is pretty low but the concentration of THC is even lower, usually less than 1 percent. Hemp meets the criteria of being low in THC, but its level of CBD is relatively low especially in comparison to certain cannabis strains, which have significantly higher amount of CBD than industrial hemp. Whether the CBD comes from hemp or cannabis flowers is not the ultimate factor. The key factor is the process by which the CBD is extracted, concentrated and formulated. Cannabis strains such as Charlotte’s Web, Avidekel and ACDC are low in THC but high in CBD with up to a 20 percent CBD concentration level. By comparison, hemp’s typical 3.5 percent CBD concentration level is rather paltry. Since the concentration of CBD is low in hemp, it requires large amounts of hemp to produce a small amount of CBD oil. The most efficient and least expensive way to extract the CBD oil is to use solvents, but dangerous solvent residues can remain in the CBD oil. In 2014, Project CBD, a California-based nonprofit dedicated to promoting and publicizing research into the medical uses of CBD, tested several CBD hemp oil products available to the public over the Internet and found significant levels of toxic solvent residues in random samples. CBD oil extracted from industrial hemp is a thick tar-like substance that needs to be thinned with a compound such as propylene glycol. A widespread additive found in CBD vape oil cartridges, propylene glycol may convert to formaldehyde, a known carcinogen, when heated and inhaled. Hexane, a solvent frequently used to extract CBDs from hemp, has been found by the Environmental Protection Agency (EPA) to be neurotoxic producing numbness in the extremities, muscular weakness, blurred vision, headache and fatigue, according to a official statement by the EPA. Even if it is possible to produce solvent-free CBD oil from hemp, there is another problem in that industrial hemp is a bio-accumulator that naturally absorbs toxic substances from the soil. Hemp is such an efficient bio-accumulator that it was used at the Chernobyl Nuclear power plant after the meltdown because it is excellent at sucking up heavy metals and radiation, according to McGraw Hill Education. Great for healing the earth, but not for healing humans. The bottom line is since hemp is so low in THC and other cannabis components, you don’t get much of an entourage effect when you use hemp oil as when you are using oil derived from a CBD-rich cannabis plant. If certain cannabis flowers are so much better for producing CBD, then why all this fuss over industrial hemp? Rather than anything to do with medical science, it has everything to do with the illegal status of cannabis. The manufacturers of CBD oil from hemp claim that it is legal to market their products as a dietary supplement even though the Food and Drug Administration (FDA) has refused to recognize hemp-derived CBD oil as a dietary supplement. The FDA singled out for criticism CBD oil producers for making unsubstantiated medical claims about treating pain, spasms, cancer and other ailments. The FDA has never approved CBD as a supplement for any kind of medical use. Under current state medical marijuana laws, the only way a CBD-infused oil product—derived from hemp or cannabis—can be used legally for therapeutic purposes would be for it to be grown, harvested, processed and consumed by a certified patient in a state that has legalized medical cannabis. That is not the case with products made from CBD hemp oil imported from abroad which remain illegal under both federal and state laws. For many reasons, CBD-rich cannabis is a better source of CBD than industrial hemp. The only reason CBD derived from hemp is gaining any notoriety is as an attempted end-run around federal law. When cannabis prohibition is ended and cannabis is treated like any other agricultural product, CBD will be extracted from the best source of cannabidiol—CBD-rich cannabis. The need to derive CBD from industrial hemp will end. La decisión para legalizar el cannabis para uso medicinal en Colombia dependerá de los ajustes que se apliquen al borrador del decreto que está creando el Ejecutivo,texto que se filtró el 13 de noviembre a los medios de comunicación. El ministro de Agricultura, Aurelio Iragorri, informó que el crecimiento del cultivo dependerá de la demanda internacional y de la regulación del Estado. El profesor de Toxicología de la Universidad Nacional, Jairo Tellez, advirtió que podrían haber problemas si personas naturales manipulan la planta. “Es como pretender producir antibióticos en casa”, dijo. De igual forma, el procurador Alejandro Ordoñez y el presidente del Congreso, José David Name, desaprobaron la regulación del cannabis porque puede llegar a incentivar el uso recreativo. Solo este año Colombia exportará US$2.200 millones entre el mercado de flores y el de plátanos. Se estima que si se llega a legalizar la droga, el negocio de la marihuana medicinal podría equivaler a ese comercio. As the cannabis industry continues to grow at a rapid pace, it can feel overwhelming to keep up-to-date with the constantly-changing federal and state regulations. Advertising regulations are especially strict, as many marketing platforms restrict or outright ban cannabis advertisements due to the substance’s federal status. 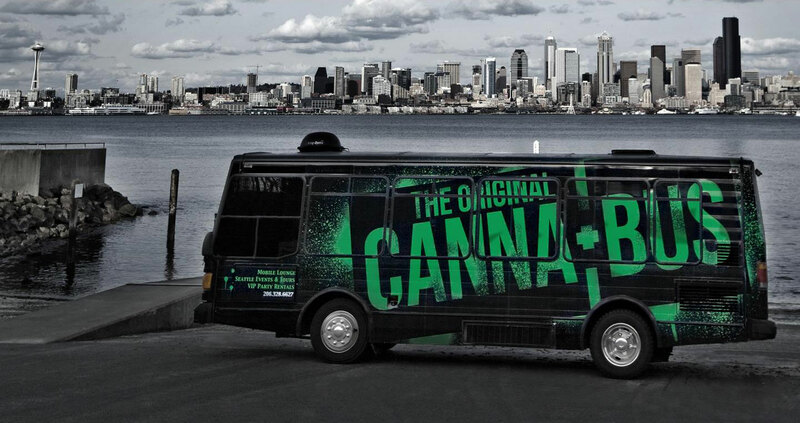 We put together a state-by-state guide to cannabis advertising regulations that should help cannabis businesses adhere to the guidelines set forth by both the state they’re operating in as well as any states in which they want to advertise. Be sure to check back constantly as we update this guide to reflect new changes and restrictions. Final advertising regulations for retail cannabis are to be determined. For more information, please refer to the Alaska Department of Health and Social Services Division of Public Health. There are currently no advertising regulations for medical marijuana dispensaries in Arizona. For more information, please refer to the Rules & Statutes for the Arizona Medical Marijuana Program. (b) Advertising for attending physician recommendations for medical cannabis shall meet all of the requirements in Section 651. Price advertising shall not be fraudulent, deceitful, or misleading, including statements or advertisements of bait, discounts, premiums, gifts, or statements of a similar nature. A Retail Marijuana Establishment shall not engage in Advertising that is deceptive, false, or misleading. A Retail Marijuana Establishment shall not make any deceptive, false, or misleading assertions or statements on any product, any sign, or any document provided to a consumer. A. Television Defined. As used in this rule, the term “television” means a system for transmitting visual images and sound that are reproduced on screens, and includes broadcast, cable, on-demand, satellite, or internet programming. Television includes any video programming downloaded or streamed via the internet. B. Television Advertising. A Retail Marijuana Establishment shall not utilize television Advertising unless the Retail Marijuana Establishment has reliable evidence that no more than 30 percent of the audience for the program on which the Advertising is to air is reasonably expected to be under the age of 21. A. Radio Defined. As used in this rule, the term “radio” means a system for transmitting sound without visual images, and includes broadcast, cable, on-demand, satellite, or internet programming. Radio includes any audio programming downloaded or streamed via the internet. B. Radio Advertising. A Retail Marijuana Establishment shall not engage in radio Advertising unless the Retail Marijuana Establishment has reliable evidence that no more than 30 percent of the audience for the program on which the Advertising is to air is reasonably expected to be under the age of 21. A Retail Marijuana Establishment shall not engage in Advertising in a print publication unless the Retail Marijuana Establishment has reliable evidence that no more than 30 percent of the publication’s readership is reasonably expected to be under the age of 21. A Retail Marijuana Establishment shall not engage in Advertising via the internet unless the Retail Marijuana Establishment has reliable evidence that no more than 30 percent of the audience for the internet web site is reasonably expected to be under the age of 21. See also Rule R 1114 – Pop-Up Advertising. R 1108 – Advertising: Targeting Out-of-State Persons Prohibited. A Retail Marijuana Establishment shall not engage in Advertising that specifically targets Persons located outside the state of Colorado. No Retail Marijuana Establishment may engage in Advertising or utilize signage that asserts its products are safe because they are regulated by the State Licensing Authority. A. Local Ordinances. In addition to any requirements within these rules, a Retail Marijuana Establishment shall comply with any applicable local ordinances regulating signs and Advertising. B. Outdoor Advertising Generally Prohibited. Except as otherwise provided in this rule, it shall be unlawful for any Retail Marijuana Establishment to engage in Advertising that is visible to members of the public from any street, sidewalk, park or other public place, including Advertising utilizing any of the following media: any billboard or other outdoor general Advertising device; any sign mounted on a vehicle, any hand-held or other portable sign; or any handbill, leaflet or flier directly handed to any person in a public place, left upon a motor vehicle, or posted upon any public or private property without the consent of the property owner. A Retail Marijuana Establishment shall not include in any form of Advertising or signage any content that specifically targets individuals under the age of 21, including but not limited to cartoon characters or similar images. A Retail Marijuana Establishment shall not engage in Advertising via marketing directed towards location-based devices, including but not limited to cellular phones, unless the marketing is a mobile device application installed on the device by the owner of the device who is 21 year of age or older and includes a permanent and easy opt-out feature. A Retail Marijuana Establishment shall not utilize unsolicited pop-up Advertising on the internet. A Retail Marijuana Establishment may sponsor a charitable, sports, or similar event, but a Retail Marijuana Establishment shall not engage in Advertising at, or in connection with, such an event unless the Retail Marijuana Establishment has reliable evidence that no more than 30 percent of the audience at the event and/or viewing Advertising in connection with the event is reasonably expected to be under the age of 21. (a) There shall be no direct or indirect cooperative advertising between or among two or more of the following: a producer, dispensary facility personnel, or physician where such advertising has the purpose or effect of steering or influencing patient or caregiver choice with regard to their selection of a physician, dispensary or marijuana product. (9) any statement that indicates or implies that the product or entity in the advertisement has been approved or endorsed by the commissioner, department, the State of Connecticut or any person or entity associated with the State of Connecticut. (c) Any advertisement for marijuana or a marijuana product shall be submitted to the commissioner at the same time as, or prior to, the dissemination of the advertisement. (7) A final copy of the advertisement, including a video where applicable, in an acceptable format. (e) Advertising packages that are missing any of the elements in subsection (g) of this section, or that fail to follow the specific details for submissions, shall be considered incomplete. If the department receives an incomplete package, it shall so notify the submitter. (B) Consistent with dispensing information for the product under review. (3) If appropriate and if information exists, recommend statements for inclusion in the advertisement to address the specific efficacy of the drug as it relates to specific disease states, disease symptoms and population groups. (a) All advertisements for marijuana or marijuana products that make a statement relating to side effects, contraindications and effectiveness shall present a true statement of such information. When applicable, advertisements broadcast through media such as radio, television, or other electronic media shall include such information in the audio or audio and visual parts of the presentation. (b) False or misleading information in any part of the advertisement will not be corrected by the inclusion of a true statement in another distinct part of the advertisement. (c) An advertisement does not satisfy the requirement that it present a “true statement” of information relating to side effects, consequences, contraindications, and effectiveness if it fails to present a fair balance between information relating to side effects, consequences, contraindications and effectiveness in that the information relating to effectiveness is presented in greater scope, depth, or detail than is the information relating to side effects, consequences and contraindications, taking into account all implementing factors such as typography, layout, contrast, headlines, paragraphing, white space, and any other techniques apt to achieve emphasis. (7) Fails to provide adequate emphasis for the fact that two or more facing pages are part of the same advertisement when only one page contains information relating to side effects, consequences and contraindications. (e) No advertisement may be disseminated if the submitter of the advertisement has received information that has not been widely publicized in medical literature that the use of the marijuana product or strain may cause fatalities or serious damage. (4) Not display marijuana and paraphernalia so as to be clearly visible from the exterior of a dispensary facility. (b) A producer shall not advertise the price of its marijuana except that it may make a price list available to a dispensary facility. (k) No person may advertise medical marijuana sales in print, broadcast, or by paid in-person solicitation of customers. This shall not prevent appropriate signs on the property of the registered compassion center, listings in business directories including phone books, listings in trade or medical publications, or the sponsorship of health or not-for-profit charity or advocacy events. (l) A registered compassion center shall not share office space with nor refer patients to a physician. (m) A physician shall not refer patients to a registered compassion center or registered designated caregiver, advertise in a registered compassion center, or, if the physician issues written certifications, hold any financial interest in a registered compassion center. 5800.1 Advertisements relating to the prices of medical marijuana shall not be displayed in the window of a registered establishment. 5800.2 Advertisements relating to medical marijuana shall not be displayed on the exterior of any window or on the exterior or interior of any door. 5800.3 No sign advertising medical marijuana on the exterior or visible from the exterior of any registered establishment or elsewhere in the District shall be illuminated at any time. Advertising regulations for Florida authorized distribution centers are to be determined. For more information, please refer to the Compassionate Medical Cannabis Act of 2014. Georgia’s medical marijuana advertising regulations are to be determined. For more information, please refer to House Bill 1. Final dispensary regulations are to be determined. For more information, please visit the State of Hawaii Department of Health Medical Marijuana Registry Program. 3) On or in a publicly-owned or-operated property. b) This Section does not apply to a noncommercial message. There are currently no advertising regulations for registered dispensaries or caregivers in Maine. For more information, please refer to the Rules Governing the Maine Medical Use of Marijuana Program. 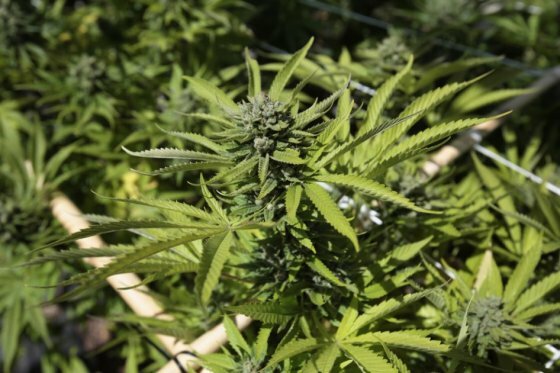 Final medical marijuana regulations are to be determined. For more information, please refer to the Maryland Laws & Regulations FAQ. (1) A Registered Marijuana Dispensary (RMD) may develop a logo to be used in labeling, signage, and other materials. Use of medical symbols, images of marijuana, related paraphernalia, and colloquial references to cannabis and marijuana are prohibited from use in this logo. (2) RMD external signage shall not be illuminated except for a period of 30 minutes before sundown until closing, and shall comply with local requirements regarding signage, provided however that the Department may further specify minimum signage requirements. Neon signage is prohibited at all times. (3) A RMD shall not display on the exterior of the facility advertisements for marijuana or any brand name, and may only identify the building by the registered name. (4) A RMD shall not utilize graphics related to marijuana or paraphernalia on the exterior of the RMD or the building in which the RMD is located. 5) A RMD shall not advertise the price of marijuana, except that it shall provide a catalogue or a printed list of the prices and strains of marijuana available at the RMD to registered qualifying patients and personal caregivers upon request. (6) Marijuana, Marijuana Infused Products (MIPs), and associated products shall not be displayed or clearly visible to a person from the exterior of a RMD. (7) A RMD shall not produce any items for sale or promotional gifts, such as T-shirts or novelty items, bearing a symbol of or references to marijuana or MIPs, including the logo of the RMD. (d) Any statement, design, representation, picture, or illustration portraying anyone under 18 years of age. (9) Inside the RMD, all marijuana shall be kept in a limited access area inaccessible to any persons other than dispensary agents, with the exception of displays allowable under 105 CMR 725.105(L)(10). Inside the RMD, all marijuana shall be stored in a locked, access controlled space in a limited access area during non-business hours. (10) A RMD may display, in secure, locked cases, no more than one sample of each product offered for sale. These display cases may be transparent. (11) The Department shall maintain and make available a list of all RMDs, their dispensing location, and their contact information. There are currently no restrictions on advertising (although there are restrictions on medical marijuana dispensaries) in Michigan. For more information, please refer to the Michigan Medical Marihuana Program. There are currently no restrictions on advertising for medical marijuana manufacturers and distribution centers. For more information, please refer to Minnesota Statutes 2012, Subdivision 22, Medical use of cannabis data. 50-46-341. Advertising prohibited. Persons with valid registry identification cards may not advertise marijuana or marijuana-related products in any medium, including electronic media. 2. Any sign or advertisement unless the sign or advertisement has been approved by the Administrator of the Division. (12) Advertising restrictions, including a prohibition of misrepresentation and unfair practices. Leafly has reached out to officials with the State of New Jersey Department of Health’s Medicinal Marijuana Program and are waiting for more comprehensive information on advertising regulations. For more information, please refer to the state’s Medicinal Marijuana Program. New Mexico currently does not have advertising regulations for medical marijuana dispensaries. For more information, please see the Licensing Requirements for Producers, Couriers, Manufacturers, and Laboratories. §1004.16 Medical marihuana marketing and advertising by registered organizations. Restricts the marketing and advertising of medical marihuana. (d) All advertisements, regardless of form, for approved medical marihuana products that make a statement relating to effectiveness, side effects, consequences, and contraindications shall present a true and accurate statement of such information. (e) An advertisement does not satisfy the requirement that it presents a “true and accurate statement” of information relating to effectiveness, side effects, consequences, and contraindications if it fails to present a fair balance between information relating to effectiveness, side effects, consequences, and contraindications in that the information relating to effectiveness is presented in greater scope, depth, or detail than is the information relating to side effects, consequences and contraindications, taking into account all implementing factors such as typography, layout, contrast, headlines, paragraphing, white space, and any other techniques apt to achieve emphasis. (g) False or misleading information in any part of the advertisement shall not be corrected by the inclusion of a true statement in another distinct part of the advertisement. (9) any statement that indicates or implies that the product or entity in the advertisement has been approved or endorsed by the commissioner, department, New York State or any person or entity associated with New York State provided that this shall not preclude a factual statement that an entity is a registered organization. (i) Any advertisement for an approved medical marihuana product shall be submitted to the department at least 30 business days prior to the public dissemination of the advertisement. (7) a final copy of the advertisement, including a video where applicable, in a format acceptable to the department. (k) Advertising packages that are missing any of the elements in subdivision. (j) of this section, or that fail to follow the specific instructions for submissions, shall be considered incomplete. If the department receives an incomplete package, it shall so notify the submitter. (l) No advertisement may be disseminated if the submitter of the advertisement has received information that has not been widely publicized in medical literature that the use of any approved medical marihuana product may cause fatalities or serious damage to a patient. (m) A registered organization, its officers, managers and employees shall not cooperate, directly or indirectly, in any advertising if such advertising has the purpose or effect of steering or influencing patient or caregiver choice with regard to the selection of a practitioner, or approved medical marihuana product. (ii) consistent with dispensing information for the product under review. (g) To regulate and prohibit any advertising by manufacturers, processors, wholesalers or retailers of marijuana items by the medium of newspapers, letters, billboards, radio or otherwise. Q. What signage must dispensaries display at their sites? NOTE: All required signage is available on the Forms and Signage page. A registered dispensary must post the applicable entry sign on the exterior of the dispensary in a conspicuous location that can be easily seen by the public from outside the dispensary at any point of public entry, in bold, 80 point Times New Roman font. A color copy of the “Educate Before You Recreate” poster (Source:whatslegaloregon.com). Distribute to each individual at the time of sale a Marijuana Information Card, prescribed by the Authority, measuring 3.5 inches high by 5 inches. There are currently no advertising regulations for medical marijuana dispensaries in Rhode Island. For more information, please refer to the Edward O. Hawkins and Thomas C. Slater Medical Marijuana Act. The advertising regulations for Texas’ CBD distribution centers is to be determined. For more information, please refer to the Texas Compassionate-Use Act. There are currently no advertising regulations for dispensaries in Vermont. For more information, please refer to the Vermont Marijuana Registry. (1) Advertising by retail licensees. The board limits each retail licensed premises to one sign identifying the retail outlet by the licensee’s business name or trade name that is affixed or hanging in the windows or on the outside of the premises that is visible to the general public from the public right of way. The size of the sign is limited to sixteen hundred square inches. Este martes 1° se realizará el “Primer Seminario Internacional de Cannabis Medicinal de Santiago”, en el Salón de Honor del Ex Congreso Nacional en Catedral 1158, Santiago centro, de 8:30 a 18:00 horas. El Seminario, organizado por Fundación Daya y Fundación Mamá Cultiva, contará con destacados expositores internacionales y nacionales, quienes compartirán sus conocimientos y experiencia sobre el potencial terapéutico de la cannabis. El evento está patrocinado por el Ministerio de Salud, la Cámara de Diputados, la Universidad de Valparaíso y el Colegio de Químicos Farmacéuticos y Bioquímicos de Chile A.G., y auspiciado por Knop Laboratorios, Fundación Daya y Fundación Mamá Cultiva. Orientado a profesionales y estudiantes del área de la salud, el encuentro permitirá conocer de primera fuente los avances en la investigación de la cannabis medicinal y sus aplicaciones clínicas, en el mundo y en Chile. Este seminario, totalmente gratuito, ha despertado tal interés que se llenaron los cupos en pocos días. Abrirán el encuentro el presidente de la Cámara de Diputados, Marco Antonio Núñez, el Dr. Mauricio Gómez en representación del Ministerio de Salud y la Diputada Karol Cariola. Modera Ana María Gazmuri, Directora Ejecutiva de Fundación Daya.